In the period from 9 through 12 October 2011 N.I. 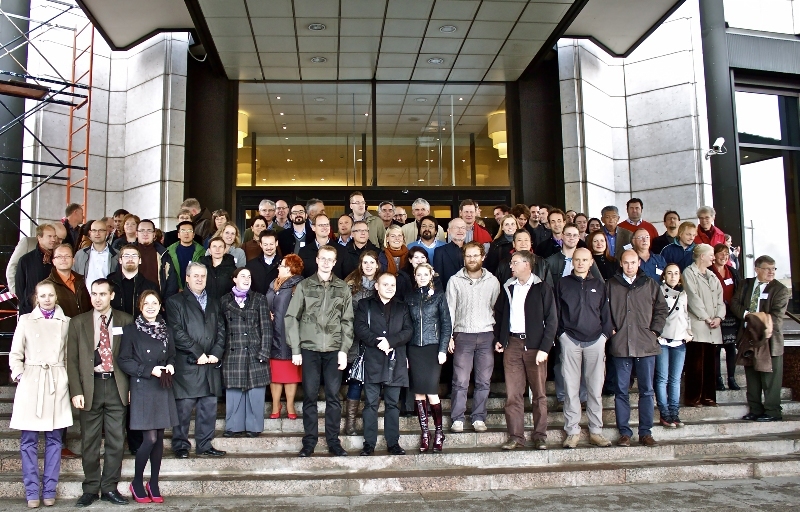 Vavilov Research Institute of Plant Industry conducted on request of Euroblight Organizing Committee an International Potato Workshop in Saint-Petersburg. The event was organized with support and direct participation of some foreign companies such as Syngenta, Nufarm, Gowan Germicopa, Biosciences, Dow Agrosciences, Belchim, BASF, Bayer Cropscience, Du Pont, HZPC. In the conference hall of the «Park Inn Pulkovskaya” hotel there gathered more than 90 potato specialists from 20 European countries as well as representatives of Russia, Israel, Chile, Argentina and USA. At the opening ceremony senior doctor of biology, head of the tuber crops department S. Kiru addressed to the workshop participants with a welcome report. In his introductory speech he stressed the significance of the event both for Russian and foreign science, since potato has been one of the most important food crops for many centuries. Timely detection and study of the newly appearing tuber crops diseases as well as development of preventive measures is one of the actual tasks for scientists aimed at insurance of food security for the whole world. Participants of the workshop presented more than 20 oral and 30 poster reports and had an opportunity to share their experience and discuss the most relevant problems. In course of the meeting participants visited VIR (genebank, library as well as Vavilov`s memorial study) and got acquainted with activities of the Institute. The program of the workshop comprised diverse cultural activities with access to main attractions of the city.